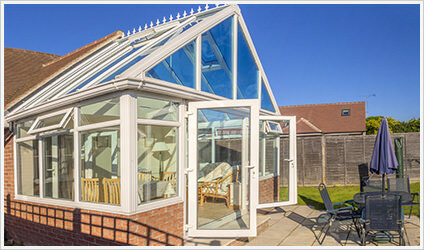 Stylish conservatories can make so much difference to your Eastbourne home. At Windows Xpress, we offer a variety of stunning styles to complement your home and create an effective and practical extension for you to use all year round. 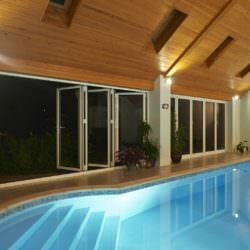 With over twenty years of experience and accredited by the Double Glazing Network, we can guarantee both quality and a cost-effective option for your design specifications, while still allowing creativity and a tailored finish. We’ll be with you every step of the way, from your first enquiry to installation, until the beautiful final result. Choose Windows Xpress for your new conservatory, and give your Eastbourne property an extension that offers character, charm and, ultimately, a new living space. 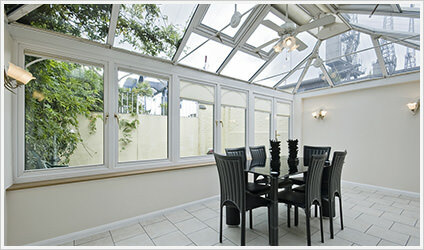 Victorian Conservatories have a timeless design that complements any style of property. 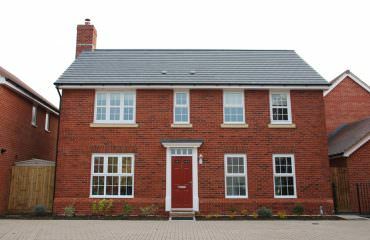 They blend perfectly with period features and will add character to modern properties. Our conservatories are great for providing extensive views to the outdoors and, with their intricate detailing, they are a stunning addition to your home. Available in a variety of styles such as fully-glazed, dwarf-wall and p-shaped designs, you can really make your Victorian conservatory your own. 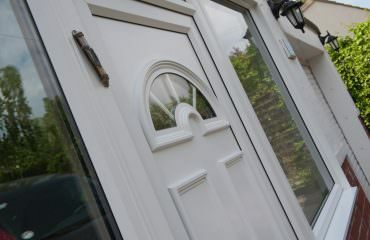 We guarantee every customer a unique, yet classic design, that can be adapted to a range of Eastbourne properties. Edwardian Conservatories are the ideal option for your Eastbourne property, with plenty of space to house a living area, dining room, home office or so much more. They are built with a robust, rectangular structure that combines symmetrical shapes with minimalist details, adding simple structure that doesn’t sacrifice style. Their generous floorplan allows for a variety of functions, making these exquisite conservatories the ideal alternative to a traditional house extension. If you have a bungalow or a home with restricted height options, a double-hipped roof option is available, giving the Edwardian conservatory style versatility that can be applied to any Eastbourne home. Gable Conservatories have beautiful high roof lines, designed in an angular fashion to increase the amplification of light, and can be adapted to suit a range of Eastbourne homes. Their elevations are beautiful, with windows that expand all the way to the roof, giving you fantastic views of the sky above. 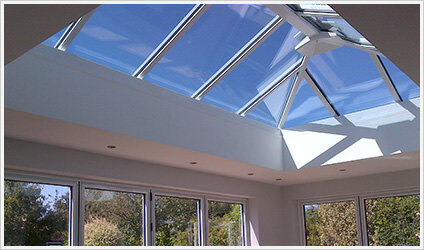 With a stunning ‘rising sun’ design, our gable conservatories can be adapted to complement your existing property. 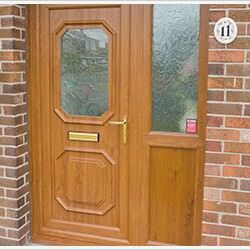 Using advanced uPVC technology, they require very little maintenance. They are easy to clean and there’s no need for the application of varnish or paint in the future years. 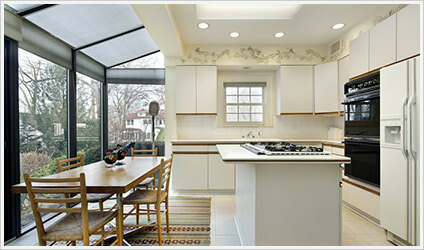 Choose Windows Xpress for your hassle-free, beautiful home extensions today. 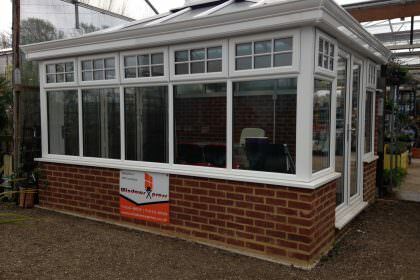 Lean-to Conservatories are the ultimate choice for a high quality, practical yet affordable addition to your Eastbourne home. They can be adapted to a wide range of properties, such as bungalows and terraced houses with limited space and height options. They have a low pitched roof design and a flexible design which makes them ideal for smaller spaces. A much more cost-effective alternative to a traditional home extension; lean-to conservatories will add character and extra space to your home. 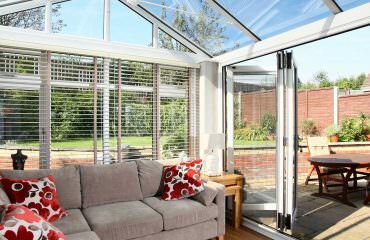 These conservatories are superb in versatility, as they can be used as anything from a utility room extending from your kitchen to a beautiful dining room, study or even an extra living space. They are bright, thermally efficient, and provide excellent views across your garden or patio area. P-Shaped Conservatories combine our lean-to design with a Victorian style to create a bespoke conservatory that is fantastic for any unique building style. If you have a larger property and are looking for a conservatory which will complement the size and the shape of your home, a P-shaped conservatory would be for you. Your new conservatory can be tailored to suit your home and style, offering you complete versatility when it comes to your Eastbourne home improvements. The circular bay of P-shaped conservatories provides panoramic garden views while allowing in extra light from all angles. This extra sunlight is absorbed through our thermal efficient double glazing, creating a warm atmosphere for you and your family to relax in. If you are looking for something that fully opens your Eastbourne property, lantern conservatories offer an influx of light which can make your new home extension feel bigger. Our Conservatory Lanterns creates an addition of elegance and class to your home. 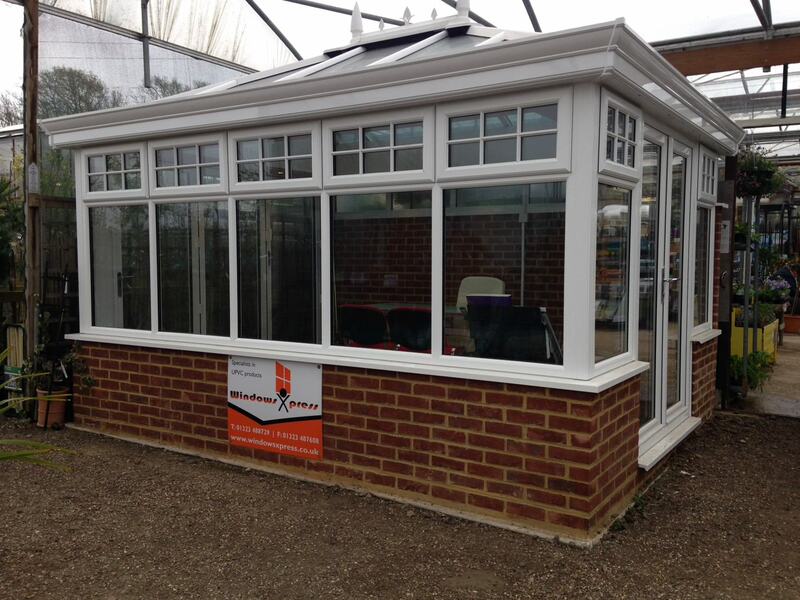 How much are conservatories in Eastbourne? 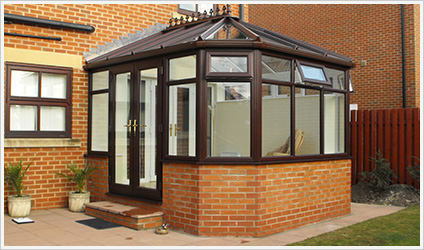 Our conservatory prices in are superb, offering great value for money for your home improvements. 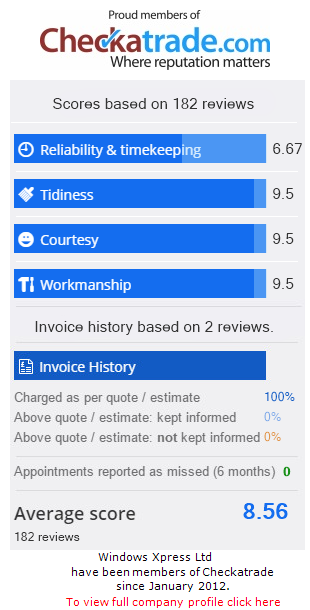 Try our online quoting engine and get an instant, tailored guide price, or contact us for more information on the conservatories we offer to homeowners in Eastbourne and East Sussex.